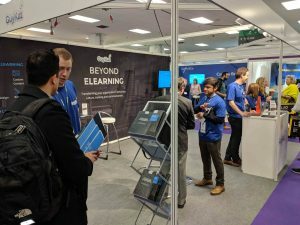 Looking Back at Learning Technologies 2018 – GuyKat Solutions Ltd.
For the past four years at Learning Technologies the GuyKat team have co-manned the Docebo stall. We’re proud to partner with Docebo and the arrangement meant our pitch has always previously focussed on our LMS product. This year we wanted to raise awareness of the other big part of our business; bespoke eLearning. So, for the first time we exhibited on our own stand, under our own brand. We marked this milestone with the UK launch of our white paper on the importance of microlearning in the workplace. On the back of this release many people came to see us to find out more, most specifically how to access help in implementing a microlearning strategy in their own organisations. If you weren’t able to attend and want a soft or hard copy of the white paper, do please get in touch and we’ll be happy to send one through. We also had some great conversations with Docebo customers who had heard about some of the customisation work we’ve been able to do for for other clients and wanting to know if we could help take their installation to the next level. We’re looking forward to working with them. One thing that attracted a lot of comment was our tag-line. 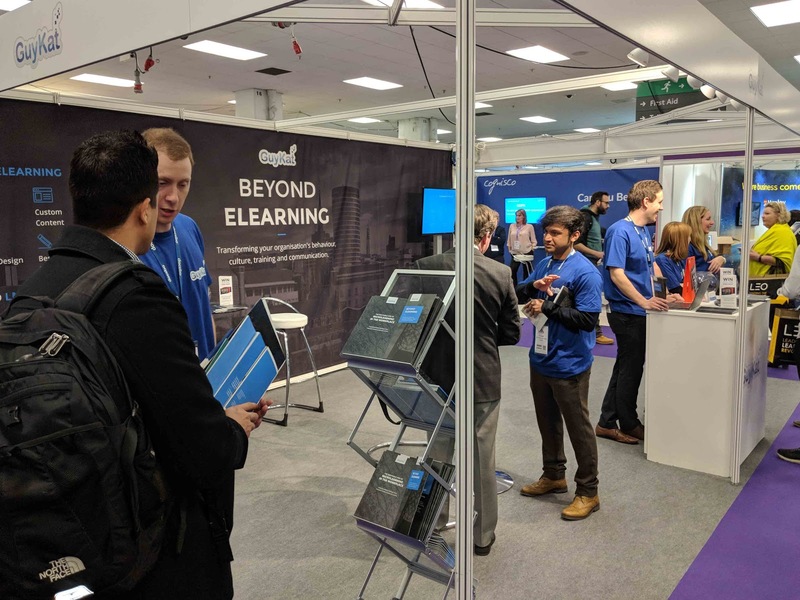 The most common question from walk-bys to the stand was “What do you mean by ‘Beyond eLearning’?” We were asked so often that the answer, which gets to the very core of what GuyKat is all about, justifies an entire dedicated future blog post. Watch this space. It’s always great to be part of this key industry event. Being surrounded by your clients, potential clients, partners and the competition is energising. Looking at competitors left us with a healthy balance of feeling very, very self-assured about the quality and pricing of our work, whilst still giving a gentle nudge that if we want to keep that feeling we need to retain our level of innovation. We’re up for the challenge. See you at LTUK19! If our services sound of importance to you, please get in touch with me at george.atkin@guykat.com and we can discuss your next steps in eLearning! Finally, congratulations to the two lucky winners of our prize draws for the Amazon Fire!